The new 2 - Needle Bold perforating tool has a longer and thicker needle than the regular 2 - needle perforating tool. 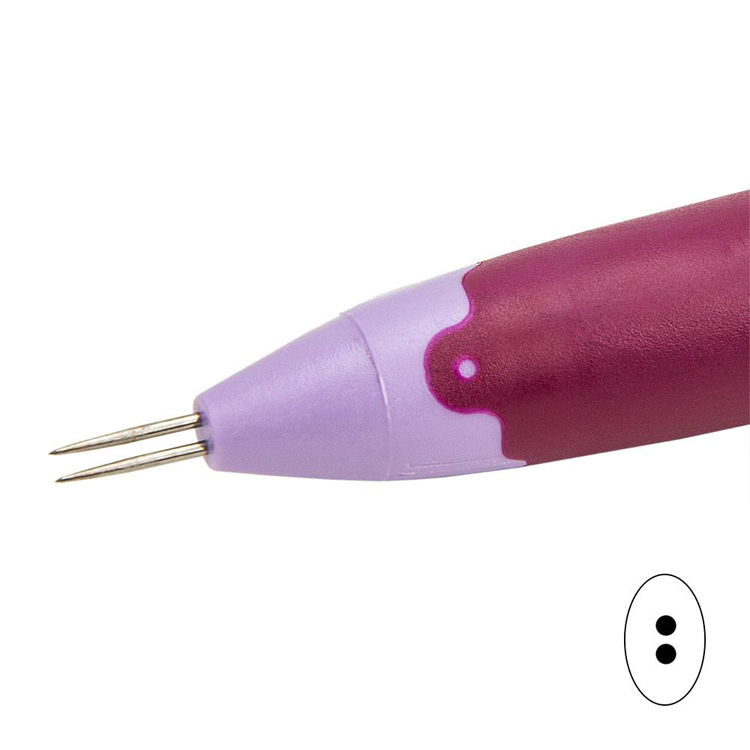 This perforating tool is ideal for use if you wish to embroider on parchment paper and for various deeper perforations. This perforating tool is also perfect for perforating on the bold diagonal & Straight grid.